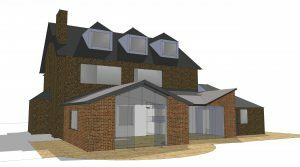 Find out more about Whitfield Architects’ current projects, past experience and wider thoughts about architecture and property. Or if you’d like to know more about what we do, take a look at our services. 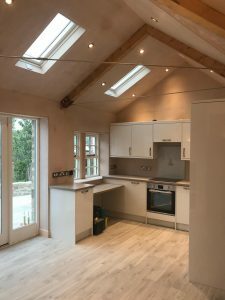 Take a look at some of our recent kitchen extension projects around Cheadle, Cheadle Hulme, Bramhall and Heaton Moor, including planning permission applications and building regulations compliance. 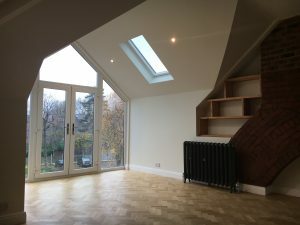 Converting a loft or garage can turn traditional storage space into something very special – and with building regulations compliance, it can be marketed as an additional bedroom, too. Heritage projects are challenging and rewarding in equal measure. We love to restore and showcase the best bits of historic buildings, while enhancing them for contemporary use. We replaced disused outbuildings in Carnforth, on the Yorkshire border, with a new-build separate guest wing for a grade-II-listed home – sympathetically styled to suit its conservation area setting. 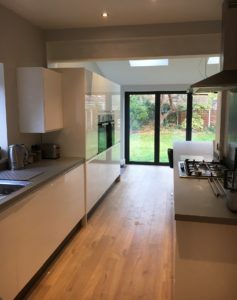 We updated a 1920s semi-detached house in Cheadle, near Stockport, including a new kitchen extension, bi-folding doors to maximise garden access and an open-plan living space that’s both contemporary and cosy. 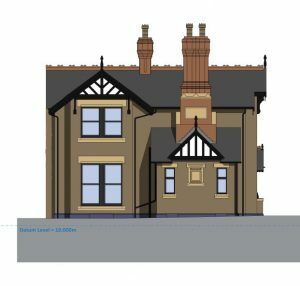 We worked with the owner of this striking four-bedroom period house near Blackpool to create two more bedrooms and a new, generously proportioned living and kitchen space, with stunning views out to sea from a new sun terrace. 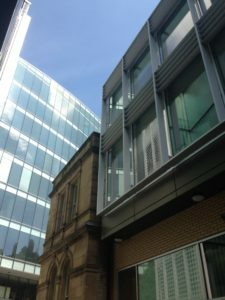 During his time at Hurd Rolland Partnership, Mark Whitfield was the project architect responsible for overseeing the restoration, construction and fit-out of historic building The Courthouse on Deansgate in Manchester – also known as Oddfellows House. 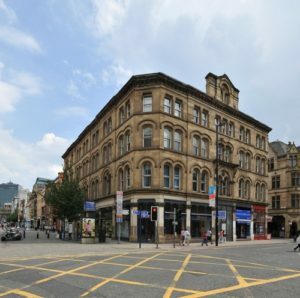 Mark designed and oversaw the conversion of a grade-II-listed former office building into 21 high-specification apartments in Manchester city centre, as project architect for Hurd Rolland Partnership. 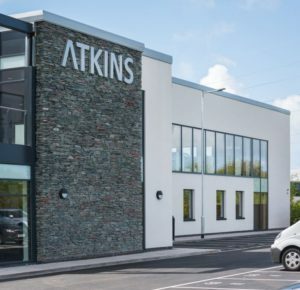 This £3.2m office scheme was an entirely new building on Westlakes Science Park in Whitehaven. 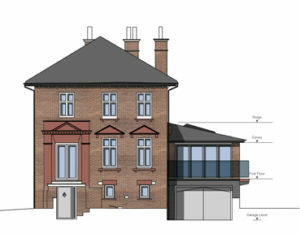 Mark Whitfield took the role of project architect for Hurd Rolland Partnership, which involved concept design, tender information and construction. #Cheadle's Moseley Old Hall is back on the market. Wouldn't be it wonderful if someone bought and restored this 17th-century beauty?